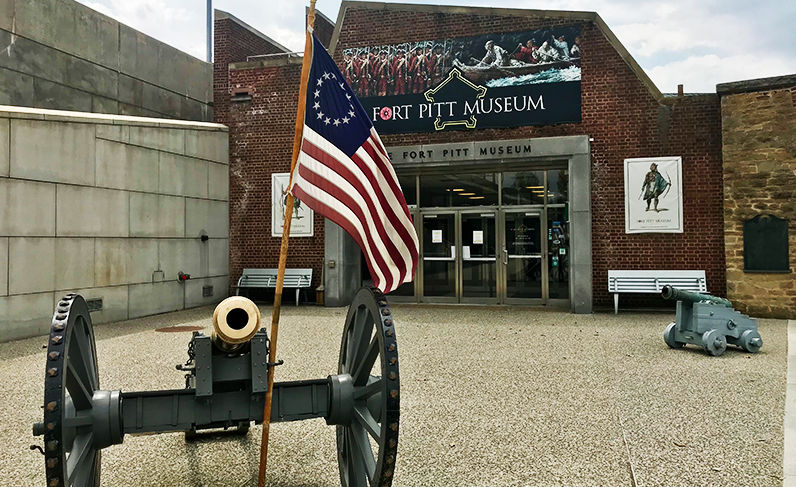 The Fort Pitt Museum is located in historic Point State Park. Take I-376 West to the Stanwix Street exit. Turn left at the light onto Fort Pitt Boulevard and bear right onto Commonwealth Place. Parking is available at the aforementioned local lots. 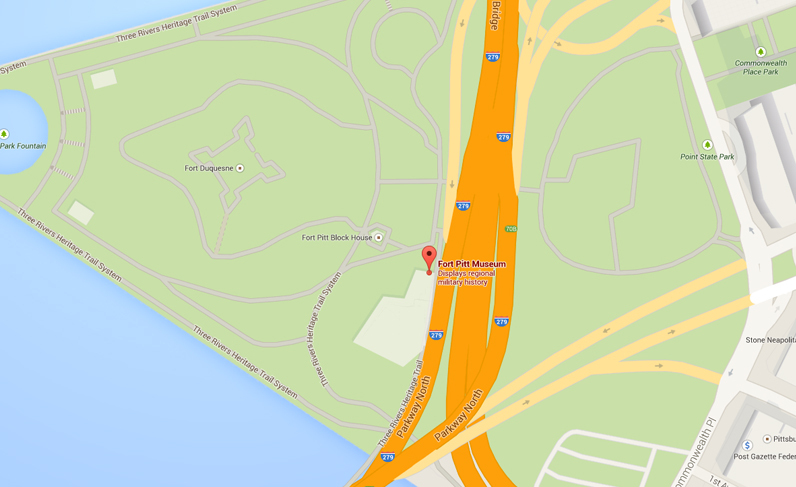 The Fort Pitt Museum is located in Point State Park just beyond and to the left of the portal bridge. From the south and west, take I-279 North through the Fort Pitt Tunnels and across the Fort Pitt Bridge. Take the Boulevard of the Allies exit and make a right at the light onto Commonwealth Place. Parking is available at the aforementioned local lots. The Fort Pitt Museum is located in Point State Park just beyond and to the left of the portal bridge. From the north take I-279 South across the Fort Duquesne Bridge. Take the I-376 East exit then take the Stanwix Street Exit on the left. Make a left at the light onto Fort Pitt Boulevard and bear right at the Y onto Commonwealth Place. Parking is available at the aforementioned local lots. The Fort Pitt Museum is located in Point State Park just beyond and to the left of the portal bridge.